It smells of saddle grease and stables. Holly the pony cranes her neck inquisitively, pricking her downy ears. Two dark brown eyes and a soft neighing say a welcoming “hello”. 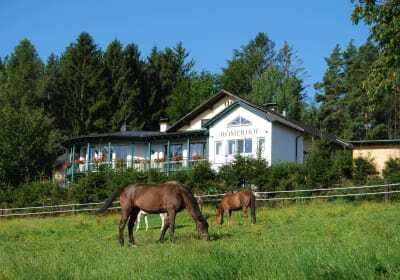 You’ll find your favourite horse and the one you love to ride here on our horse farms. Or you can just bring your own – the qualified farmers have all the equipment you need. 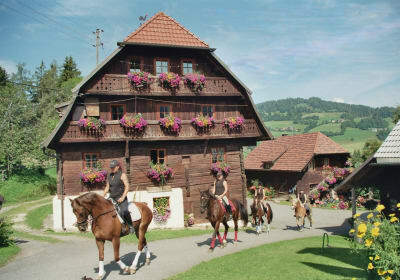 Here you can enjoy beautiful riding paths and trips on horse-drawn sleighs through picturesque landscapes. Lessons and therapeutic riding are also available. show you how it’s done. are already waiting for you.